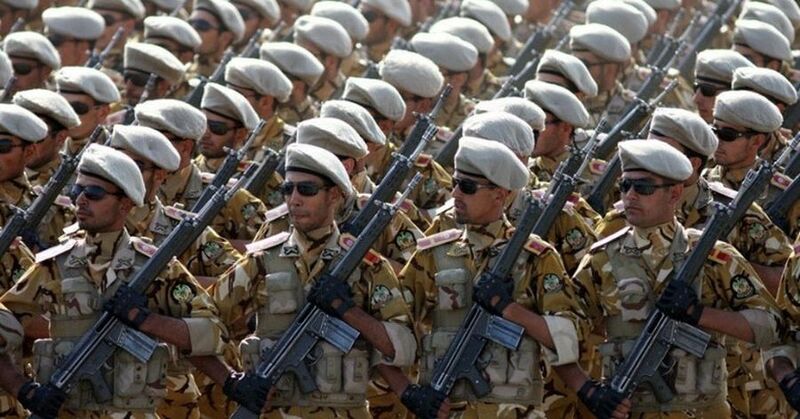 President Donald Trump’s planned designation of Iran’s Revolutionary Guards Corps (IRGC) as a terrorist organization on Monday, April 8 , will add to US steps for maximizing the economic pressure on Iran in the coming two months. It is the first time a government military entity has been branded terrorist. The US can expect Iran to retaliate at once by proclaiming the American army a global terrorist organization on a par with the Islamic State and calling on allied regimes to follow Tehran’s example, such as, for instance, Nicolas Maduro in Venezuela. Closer to home, Syrian President Bashar Assad, Hizballah’s leader Hassan Nasrallah and the pro-Iranian militia conglomerate in Iraq, may well act in solidarity with Iran, in which case, violent clashes may erupt between the proxies Iran has scattered across the Middle East and US forces. Conscious of the threat, on Friday, April 5, American army units in the region were placed on the alert for Iranian-orchestrated reprisals. Does it mean that that US forces are henceforth licensed to attack IRGC forces in their different regional sectors of operation? Or was it a general directive to open the door for such attacks in the future? Israel will be empowered to step up its aerial assaults on Iranian forces in Syria and extend them to western Iraq, where pro-Iranian Iraqi Shiite militias have piled up under IRGC command. It is about time that the West see the Iranians for what they really are – exporters of terror the world over, and take action to put them in their place. This seems to be the form of WWIII which I contend is now ongoing and will continue until the forces of Islam and Progressives have their wings clipped. We have a very long way to go. I would like to second on that “very well written” comment regarding your post and yes……………..we have a very long way to go, exactly as you stated. The guards are terrorists, ok, thank you! But then what about the crackhead Khamenei, the guards big bad boss? I agree he was a terrorist from way back before, years ans years. But now it is official, ha! Retirement in Europe is not an option anymore. But hey, Guantanamo has pretty neat apartments, and very secure too! Everything happens by the will of Allah. Floods are killing us, Trump is on us, no end in sight for the river of bad things. All because of Shisha, bad habit from the ayatollahs. Iran is fueled by money and so the Americans have hit the mark once again. Their filthy scum proxies everywhere in the Mideast, especially the ones close to the Israeli border at Golan, do not even know why they are exactly dying for. Filthy scum is right. Death to them all, their spineless dishrag apologists, 5th column infiltrators, and useful idiot sympathizers in the West. America and Trump forever, baby. The 10th-century geographer al-Istakhri claimed that the White Khazars were strikingly handsome with reddish hair, white skin and blue eyes while the Black Khazars were swarthy verging on deep black as if they were “some kind of Indian”. Sorry, wrong address, not only Ali, the message is for the whole Islam. Rekcufrehtom Khamenei is the Islamic chief religious of the whole country, by this he stains Islam. Except if, pig Khamenei leaves power and surrenders to the closest US Army base. As Gen George S Patton once quipped to a Algerian King on the review stand, as the Kings Army marched in review; Patton stated: “they look good, but can they fight”? Iranians will never in a thousand stand against the might of the US military and that is a fact Jack! from Scripture (Ezekiel 38-39) it appears they will not be able to stand against the God of Israel when they attack Israel along with the Northern Coalition. You’re on the right track, however, Ezekiel 38&39 are down the road a short bit. Read Jeremiah 49:34-39 Elam is Southwestern Iran. Elam’s bow is Iran’s source of power; Oil, Missiles & Nuke Plants. There is a very good reason Turkey, Russia and Iran stay out of the Psalm 83 War. Trump will be too Unpredictable after Elam is Decimated & Dismayed. Obadiah 1:18 states Joseph as a flame on the Esau invaders with an ancient hatred of the Hebrews. Joseph is America (Northern Tribes). May God Israel ! President Donald Trump is the GREATEST American President of the 21st Century. Fact: the zionist’s antisemitic squatter army can’t stand against Hizbollah. At least you don’t even pretend that the squatters can touch Persia. you stupid MOFO!!! Iran is 10x bigger than israel. they have a bigger army, they have oil which can pay for their war effort for many years. israel is a tiny country compared to those dogs. They have everything they need to attack Israel. Israel has attacked them several times in the past year. Why have they not retaliated against Israel? they dont have the cojones. they are cowards who send others to do their fighting. The whole world knows that the squatter colony is a US military base. That’s why the antisemite settlers freely act with impunity–murdering medics, using drones on kites, and bombing real countries. Iran, Russia, and China know their Sun Tzu. When the enemy is in the process of destroying himself, don’t get in the way. LOL! Your Fascist Iran couldn’t even defeat Iraq in their 8 year War (1980-1988). Fascist Iran is a barking DOG afraid of its own shadow. Fact: the Israelis did quite well, literally against all odds, in 1948, 1956, 1967 and 1973 and international pressure resulting in a cease fire which stopped the IDF from wiping out Hezbollah during the war in Lebanon during the Bush Administration. Fact: a spider’s web has an equivalent strength that’s actually stronger than steel when brought down to scale. Fact: the squatters are the Arabs who invaded the Land of Israel (which didn’t belong to them) during the Muslim conquests and who now call themselves “Palestinians”. Hizbollah was really formidable back in 1973 when Uncle Sam saved the squatter army from defeat, weren’t they? You can rewrite history, but serious defenders of the apartheid settler colony know what happened. The Dotard does nothing but spit words and make a fool of himself. He should proclaim Juan Guido the head of Persia’s mighty IRGC: Shah Juan. And of course their Supreme Terrorist Leader Khamenei. The corrupt lying criminal is a Terrorist. of course the oil sanctions , bring iran not to the knee, sanction against iran and venezuella bringen higher oi prices and more money for iran. What will happen? The nukes will happen. ya, ya, ya…. more garbage from a stupid muzzie. go back to ur goats and ur snot nosed brats. Americans died in Iraq / Afghanistan only because of IEDs invented and proliferated by Hezbollah and IRGC. When have the Americans “died for the Jews”, as you put it ???? yup, remember not to conduct espionage against your allies, or else you might not like the consequences. Will the nations who are helping Iran get around the sanctions continue to do so, even after the IRGA is dubbed terrorist? Will the West help out militarily, if it comes to that? To what lengths will Israel go to support this declaration by the US, and suppose the Israelis start attacking more targets? How will the Kremlin react? There or somewhere else in the world? The West? There is no “West” with regard to confronting Iran / SHIITE terror. There remains only Israel and the US.. and my personal hunch, soon, Kurdistan. If Trump and Bibi recognize and back an independent Kurdistan stretching from Iran through Iraq and Syria, possibly to Turkey, the Kurds will in-return help the US and Israel to dismantle the SHIITE Islamic Crescent before it is operational. The Kurds are seasoned fighters who have operational experience working with US armed forces. Trump’s relationship with Russia has not been entirely clarified enough to anticipate that the US or even Kurdistan will come to Israel’s aid. If Trump is a Russian puppet, it’s foolhardy to think that Russia will allow the US, Israel, or the Kurds a free hand. The Kremlin is even giving the Turks the S-400s. And what can the US do with just a few hundred military in western Iraq? Israel is whistling in the dark for confidence. The bible is clear…at some point Israel will be isolated in its various political and ideological views about the Near East. I wonder if anyone else is sick and tired of hearing the word “terrorism”? Can’t we just call an attack an “attack”, and an enemy an “enemy”, and a threat a “threat”? By using the word “terrorism” one frankly admits he is terrified of the threat, enemy, attack, or whatever. Most “terrorism” is in fact the arms dealers terrified that their bottom line will turn red if ever peace happened to break out. Call a spade a spade please.